Showroom looks and top performance! This beauty shoots like a beast. If you're looking for an accurate, high-powered hunting rifle, look no further than the Browning X-Bolt. The bolt-action rifle landscape was changed forever with the introduction of the X-Bolt, and Browning never stopped innovating. Every detail, from the gold-plated Feather Trigger to the tack-driving free-float barrel to the detachable Rotary Magazine, combine to make it the ideal rifle for hunting deer and elk to varmints. With the Browning X-Bolt White Gold, you'll have a rifle with the good looks and top performance worthy of becoming a family heirloom. 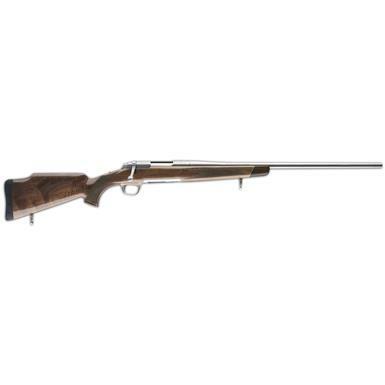 Browning X-Bolt White Gold, Bolt Action, .30-06 Springfield, 22 Barrel, 4+1 Rounds is rated 5.0 out of 5 by 1. Rated 5 out of 5 by B Sullivan from Great Service, great gun! As always Sportsman's Guide was on the ball doing exactly what they said they would do. The product was just as described and is a great gun. Service was quick and accurate. I really appreciate everything. This is a once in a lifetime purchase for me and a gun I hope will remain in my family for generations to come.